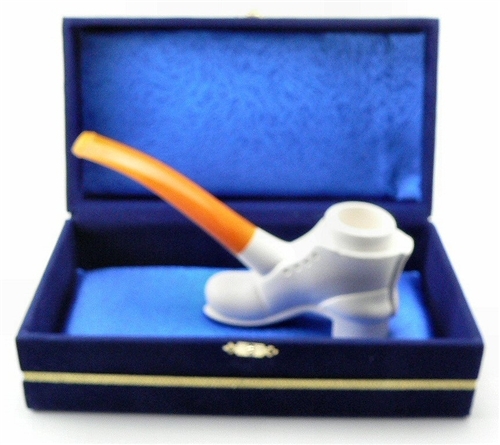 This Ismet Bekler pipe was carved in the early 1970’s before Bekler was signing his pipes. The stem is made from an original special Amberoid material used on authentic Bekler pipes during those early years. Many pipe collectors believe that a true pre 1980’s un-signed Bekler pipe in many cases is actually more valuable than post 1980 pipes due in part to their rarity and difficulty in finding any for sale. 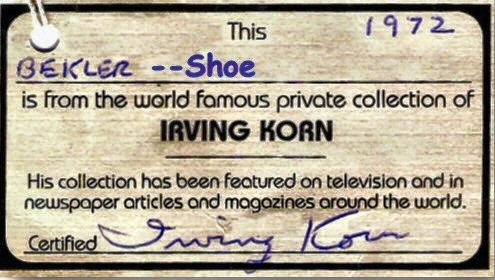 The pipe includes a certified signature card from Irving Korn, the original importer, stating that this pipe is a Certified Ismet Bekler Carved Pipe from the early 1970’s. It comes in a Velvet Chest. Ismet Bekler was a prolific and popular carver when Mr. Irving Korn discovered him in the early 1970’s during one of his trips to Turkey. Bekler is known as one of the best carvers in the history of Turkish Meerschaum. In 1980 a company named CAO (who at that time was primarily affiliated with Tinder Box pipe shops) contracted with Bekler to sell all of his carvings to them. CAO wanted to make Bekler a more well-known carver in the US and it was at this time he began signing his pipes. Since CAO wanted more production and higher quantities of his pipes Bekler stopped doing all the work himself. Although Bekler still did the basic carving he let others in his workshop do the sanding, waxing and fitting the bit to the pipes.